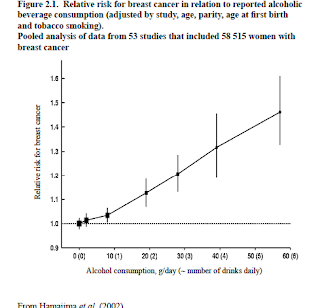 Dr Jenny Edge: Alcohol and Breast Cancer: a perspective Happy New Year. 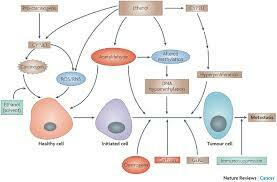 Alcohol and Breast Cancer: a perspective Happy New Year. I am often asked if I find my job depressing. I don't. one of the reasons is that I enjoy catching up with women I have treated at a different stage of their lives. Nearly ten years ago, Janet Gourand came to see me as a patient. Recently, she returned to see me and told me about her new project. :World Without Wine. She asked me whether she would have got breast cancer if she was a teetotaller. "Back in 2006 I was diagnosed with breast cancer – although almost 10 years ago I can remember that day as if it was yesterday. 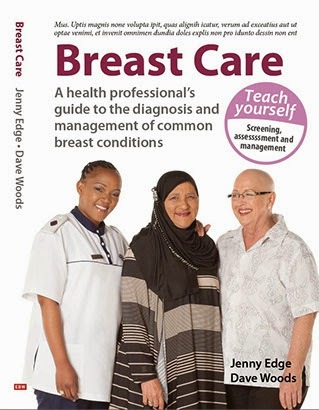 "I was sent to breast cancer surgeon Dr Jenny Edge in Cape Town. She took one look at my breasts and suggested that I had a malignant tumour in my left breast. She was very kind and told me gently that I was going to have a very busy day as she sent me round the hospital to have various tests to ascertain if the cancer had spread – fortunately it hadn’t although it was in my lymph nodes, many of which had to be removed along with my breast. "I was vaguely aware of the fact that there was a link between alcohol and breast cancer but that was not something I wanted to dwell on when coping with my diagnosis and the tough treatment regime that followed. “Research consistently shows that drinking alcohol does increase a woman’s risk of hormone-receptor-positive breast cancer. Alcohol can increase levels of estrogen and other hormones associated with hormone-receptor-positive breast cancer and may also damage the DNA in cells. "Now that almost a decade has passed I felt brave enough to talk to Dr Jenny Edge about the possible link between alcohol and breast cancer. "Her first words were that “its complicated” and she reminded me that the biggest risk factors are being female and getting older! 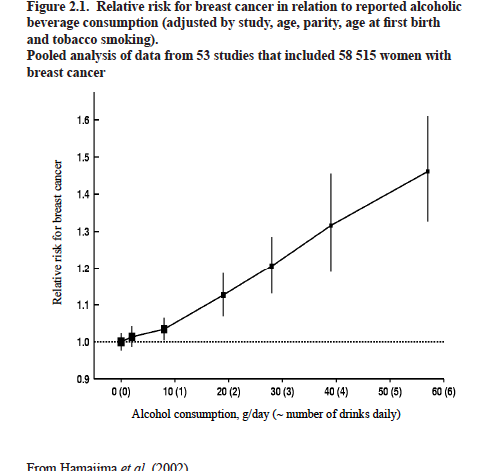 "Dr Edge also mentioned the “Nurses Health Study (2011: JAMA) which looked at alcohol consumption and breast cancer risk. "So I can see why Dr Edge says “it’s complicated” but if I could give some advice to my younger self I think it would include some tips about drinking moderately. As a result of recent research the “safe” levels for alcohol consumption are likely to be reduced in the UK. Currently 14 units a week – that’s just one and a half bottles of wine! Let’s hope that SA will follow the UK example – and lets hope that people will actually follow that advice!"